Vermillion Cliffs National Monument is one of eighteen national monuments managed by the Bureau of Land Management (BLM) in eight western states. 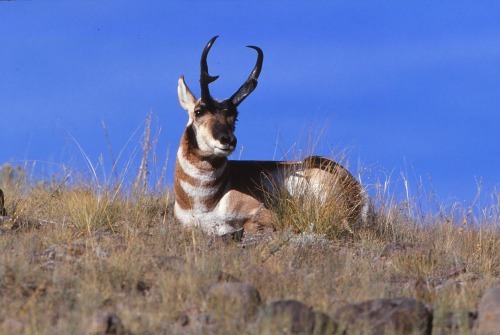 It covers 294,000 acres, the majority of which is in Arizona, with a smaller portion in southern Utah. It was established in the year 2000 by presidential proclamation. High above the cliffs, look for the California Condor which was introduced into this area in 1996. With such a vast area from which to choose and with so many spectacular sandstone formations, it is difficult to single out any one particular place as special and worthy of being highlighted. Having said this, however, I find myself drawn to Paria Canyon, the Paria Plateau, and Coyote Buttes. The Paria Rivers runs south from Bryce Canyon NP in Utah, through the GSENM, crosses into AZ just west of Page and joins the Colorado River at Lee’s Ferry. The lower 38 miles of the Paria River flows through Paria Canyon, arguably one of the best slickrock canyon hikes in the world. Most backpackers wanting to hike the length of Paria Canyon start at White House Trailhead, which is just south of US 89 about 30 miles west of Page, and hike the 38 miles to Lee’s Ferry Trailhead. 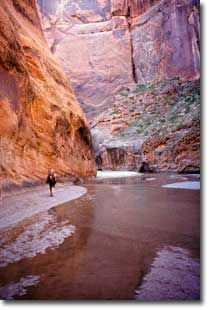 Paria Canyon can be hiked in three days, but four to five days are recommended to allow time for exploration and photography. Access to the northern portion of the wilderness is via U.S. Highway 89, which passes within three miles of the area. 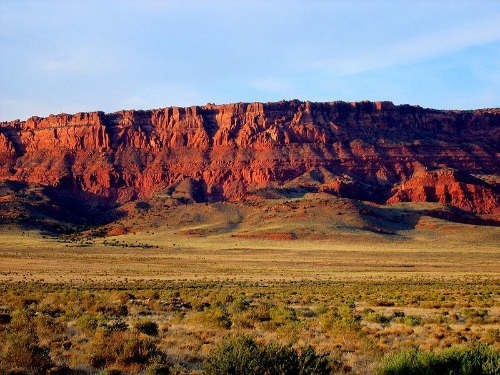 U.S. 89A skirts the base of the Vermilion Cliffs on the south while access to the eastern portion is the road to Lee's Ferry. Access on the west is the House Rock/Coyote Valley Road (BLM Road 1065). 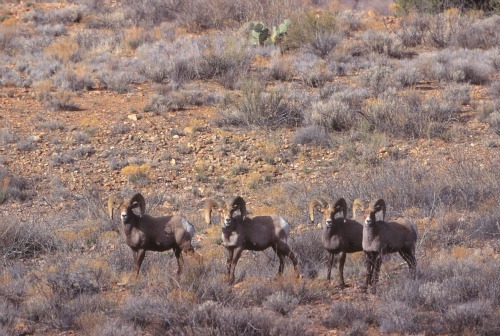 For more information on permits and fees, go to www.blm.gov.az. Located in north central Arizona just across the border from Utah, the Paria Plateau lays claim to some of the most diverse and beautiful sandstone formations within the Vermillion Cliffs NM. In fact, some would argue that the landscape, though on a smaller scale, is even more beautiful than that found at Zion and Bryce Canyon National Parks. Books and Maps about Vermillion Cliffs may be purchased through Amazon.com by clicking the link below. • White Pocket, a few miles to the east. To see a Map; of the Coyote Buttes Area, Click Here. I first became aware of the area now known as The Wave when I attended a Photo Workshop in Telluride, Colorado back in the 1980’s. One of our instructors was a wonderful photographer named Linde Waidhofer, who had recently returned from a trip to northern Arizona near Page. She showed us some of the images she had made on that trip and to say they were awesome would be an understatement. She later published some of these images in her book Red Rock, Blue Sky. If you love beautiful photographs and prose that paints pictures, I heartily recommend this book. 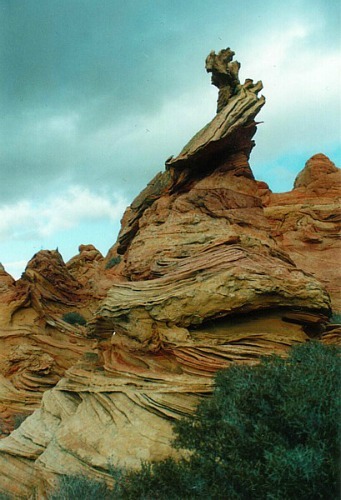 Since that time, many photographers have visited this area and have photographed these spectacular sandstone waves. Unfortunately, I am sad to say, I have not been one of them. 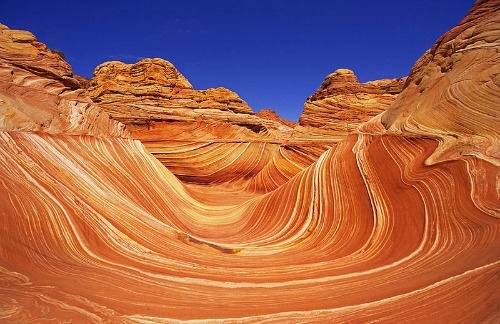 The Wave has become so popular that the BLM has strictly limited the number of visitors allowed to visit it. For Coyote Buttes North, you will need to enter the lottery to obtain a permit four months in advance. Detailed lottery information can be found at Coyote Buttes Permits. You will receive a map and directions when you receive your permit. Both of these locations require day permits and can accessed from the Cottonwood Cove Trailhead. 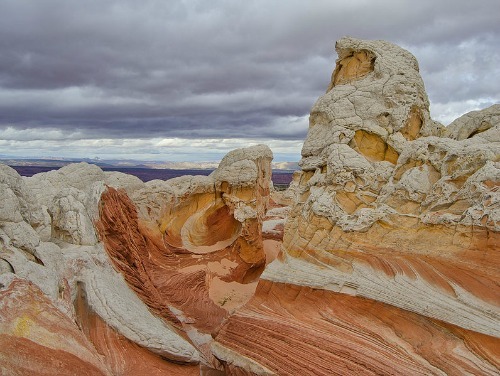 Perhaps because of its remoteness and the difficulty in reaching it, White Pocket is much less known and visited than The Wave in North Coyote Buttes. However, it is no less awesome, no less spectacular; in fact, many would say that it is even more awesome and more spectacular than the Wave. Unlike access to Coyote Buttes, a permit is not required. For further information, directions and photos Click Here. The Vermillion Cliffs National Monument is a vast wilderness area with few roads and fewer signs. It is easy to become lost and disoriented. If you are uncomfortable in a wilderness situation, you should consider hiring a guide. There is no lodging within Vermillion Cliffs National Monument. The nearest lodging is in nearby Page, Arizona. To find lodging in Page, use the Search Box to the right.